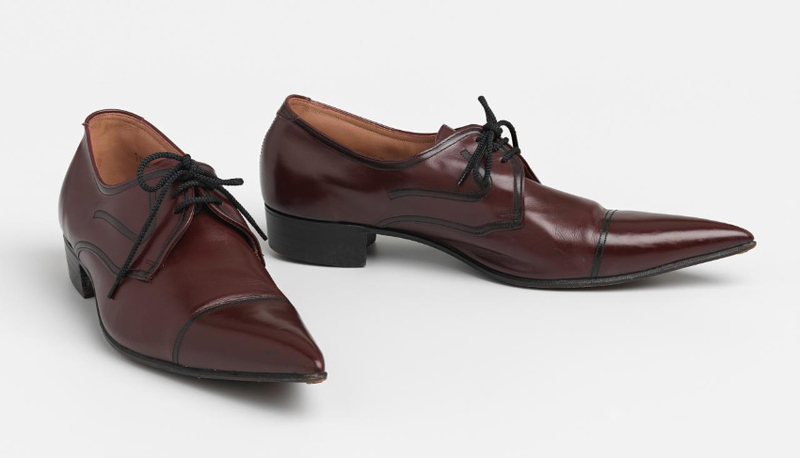 Men’s and women’s shoes, distinguished by a very pointed toe. 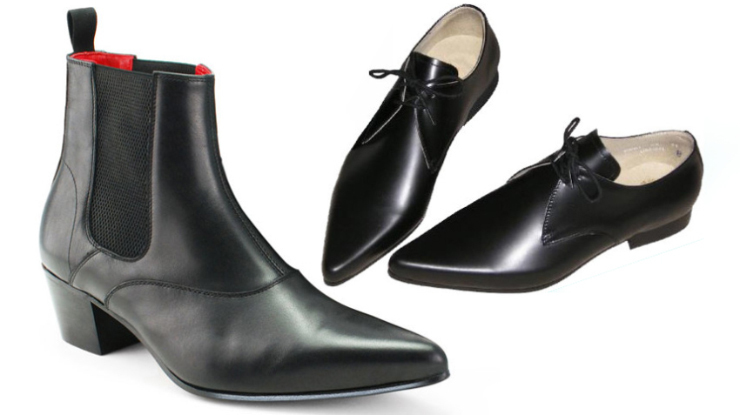 It can be low as oxfords or brogues, and with a higher shaft, up to the middle of the ankle, as chelsea boots. Winklepickers got into fashion in the 1960s, when they became an indispensable attribute of young people, obsessed with rock-and-roll. Then came the 70s and winklepickers experienced another rise in popularity, becoming the favorite shoes of the followers of the nascent punk movement, who preferred such shoes in defiance of the faded hippie-style fashion. Today, winklepickers are still considered to be classic rock-n-roll shoes – many fashionable rock musicians, especially in the UK, combine them with skinny jeans, shirts or T-shirts and leather jackets.